The Second District Court of appeals held that SB 342 did not violate the Ohio Constitution’s home rule provisions. SB 342 requires police officers to be present when traffic cameras are operating, and imposes other restrictions on the use of traffic cameras. The Montgomery County Common Pleas Court ruled that these provisions violated the City of Dayton’s home rule rights, and granted a permanent injunction that allowed the city to continue citing motorists without officers present. The Court of Common Pleas decision was overruled and the permanent injunction vacated by the appellate court. The case is Dayton v. State, 2015-Ohio-3160. Trial court erred when it granted partial summary judgment to appellee, finding that certain provisions of Am.Sub.S.B. No. 342 unconstitutionally violated appellee’s home rule powers. When properly analyzed in its entirety, Am.Sub.S.B. No. 342 constitutes a comprehensive, uniform, statewide regulatory scheme which clearly prescribes a rule of conduct upon citizens generally. Accordingly, we find that Am.Sub.S.B. No. 342 is a general law that does not violate Article XVIII, Section 3 of the Ohio Constitution, the “Home Rule Amendment.” Judgment reversed and permanent injunction vacated. 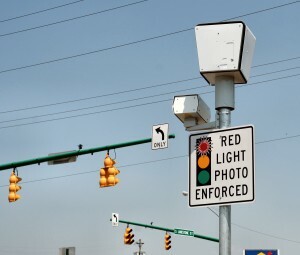 See Dayton Daily, Court sides with state in Dayton traffic camera case. In State ex rel. Ullmann v. Husted, 2015-Ohio-3120, the Franklin County Court of Appeals held that an individual suing for mandamus relief from the JobsOhio statute did not have standing under the public rights doctrine. The relator asked the court to not only declare the law creating JobsOhio unconstitutional, but also to direct state officeholders to take action, including requiring Secretary of State John Husted to revoke its articles of incorporation and State Auditor David Yost to audit the organization. So, this lawsuit did not have the limitations of the declaratory judgment action in ProgressOhio.org, Inc. v. JobsOhio, 139 Ohio St.3d 520, 2014 Ohio 2382, 13 N.E.3d 1101. However, the Court of Appeals found that the JobsOhio law did not raise rare and extraordinary issues that threaten serious public injury. Thus, the relator lacked standing. Judge Myron C. Duhart of the Lucas County Common Pleas Court found that Ohio’s budget bill passed in 2013, H.B. 59, violates the one subject rule of the Ohio Constitution. H.B. 59’s provisions banning public hospitals from making transfer agreements with abortion clinics had no common purpose with the rest of the budget bill. See Capital Care Network of Toledo v. State of Ohio Department of Health, Opinion and Judgment Entry, Lucas County Docket No. CI0201403405 (June 19, 2015). Judge Duhart also found a violation of the Due Process clause of the U.S. Constitution, because the ASF licensing scheme created by H.B. 59 (embodied in R.C. 3702.303, 3702.304, and 3727.60) constitutes an unconstitutional delegation of the State’s licensing authority of abortion clinics, as applied to the plaintiff. The decision allows Toledo’s only remaining abortion clinic to remain open. See Toledo Blade. A similar one subject rule challenge to H.B. 59 was raised in Preterm-Cleveland, Inc. v. Kasich, Cuyahoga Common Pleas Docket Number CV-13-815214. The Cuyahoga County Court of Common Pleas found that Preterm did not have standing to sue. See Opinion and Order. No action to revoke an abortion clinic’s license or other action adverse to Preterm had been taken. The Cuyahoga County Court of Common Pleas struck down Broadview Heights’ drilling prohibitions as preempted by ORC Chapter 1509. See Bass Energy, Inc. v. City of Broadview Heights, Cuyahoga Common Pleas Court Case no. CV-14-828074, Opinion and Judgment Entry (Mar. 10, 2015). Following the recent Ohio Supreme Court decision, State ex rel. Morrison v. Beck Energy Corp., Slip Opinion No. 2015-Ohio-485, the Cuyahoga County Court of Common Pleas held that prohibition of drilling conflicts with State statutes giving exclusive authority to the Ohio Department of Natural Resources to regulate the permitting, location, and spacing of oil and gas wells in Ohio. The ban on drilling was not within the city’s home rule powers as granted by the Ohio Constitution. The drilling prohibitions were created by a voter-approved amendment to the Broadview Heights Charter known as the “Community Bill of Rights”. Besides prohibiting new drilling, the Community Bill of Rights also declared that oil and gas extraction companies in violation of the Charter do not have the rights of “persons” afforded under the U.S. and Ohio Constitutions and do not have rights under the commerce or contracts clause of the U.S. and Ohio Constitutions. In Bass Energy, Inc. v. City of Broadview Heights, Cuyahoga Common Pleas Court Case no. CV-14-828074, two oil and gas companies sued the City of Broadview Heights, seeking a declaratory judgment to declare the city’s ban on drilling invalid. The City claims the ban is protected by the Home Rule provision of the Ohio Constitution, while the companies claim the city’s ban is preempted by state law. A similar case is pending in the Ohio Supreme Court, State of Ohio ex rel. Jack Morrison, Jr., Law Director City of Munroe Falls, Ohio, et al. v. Beck Energy Corporation, et al., Ohio Supreme Court Case No. 2013-0465. See our prior post Does Sole Authority of Ohio Department of Natural Resources to Regulate Oil and Gas Drilling Violate Home Rule? The Munroe Falls case involves the energy company’s violation of city zoning ordinances, street and right of way ordinances, as well as ordinances specific to oil and gas, such as a notice of drilling requirement. The Ohio Supreme Court heard oral arguments in the Munroe Falls case on February 26, 2014. A decision is expected shortly. The decision will likely be appealed to the Ohio Supreme Court, where a similar case remains pending. See our prior post Ohio Supreme Court Will Hear Traffic Camera Case. The Eighth District Court of Appeals held that giving city employees bonus points on promotional exams for living in Cleveland violates the Ohio Constitution, Article XV, Section 10. Cleveland Firefighters Assn. v. Cleveland, 2013-Ohio-5439. Appointments and promotions in the civil service of the state, the several counties, and cities, shall be made according to merit and fitness, to be ascertained, as far as practicable, by competitive examinations. Laws shall be passed providing for the enforcement of this provision. The Court found that there was not a valid relationship between the preference points awarded by the city and the merit and fitness of the candidate for promotion. Also, a candidate’s knowledge of the community could be ascertained by a competitive examination, and such examination is preferred by the Ohio Constitution. The Sixth District Court of Appeals ruled that an extraterritorial traffic stop by Lake Township Police Department officer on a State highway violated the defendant’s rights under Article 1, Section 14 of the Ohio Constitution. The appellate court ruled that while appellant’s Fourth Amendment rights were not violated because the officer had probable cause to stop him, there was a violation of his state rights. See Case Summary from Court News Ohio. 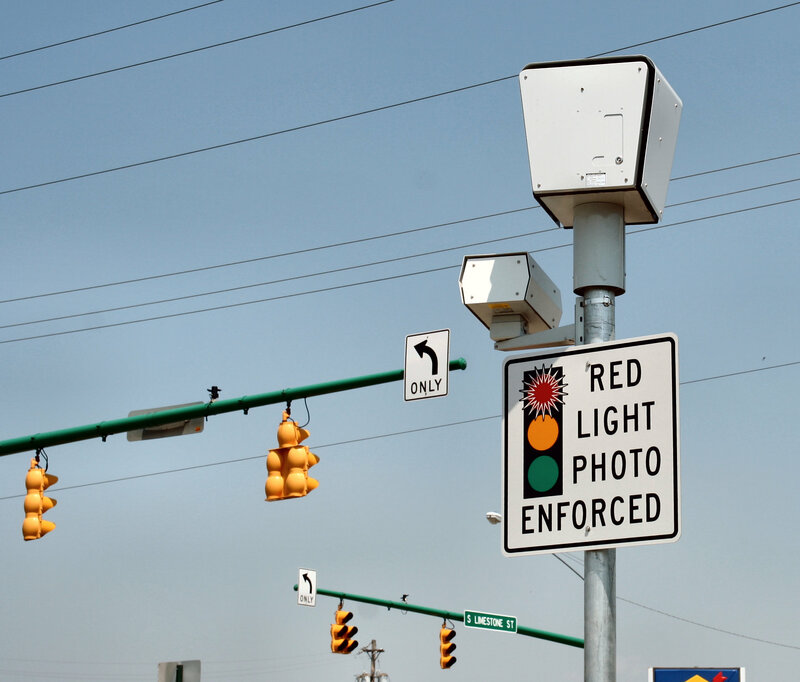 Douglas E. Priest and Wynette J. McNutt each filed lawsuits in the Franklin County Common Pleas Court challenging the constitutionality of red light camera procedures. The arguments in these suits are similar to Bradley Walker’s suit, which was recently appealed to the Ohio Supreme Court (see our prior post). The suits argue that ticket appeals to an administrative officer unconstitutionally divests the Municipal Court of the jurisdiction to hear the cases. The suits also allege due process violations. Article from Dayton Daily News.